Permanent makeup makes your dream come true. Permanent cosmetic makeup is cosmetic tattooing. The specialized techniques used for permanent cosmetics are often referred to as “micro-pigmentation”, “micro pigment implantation”. 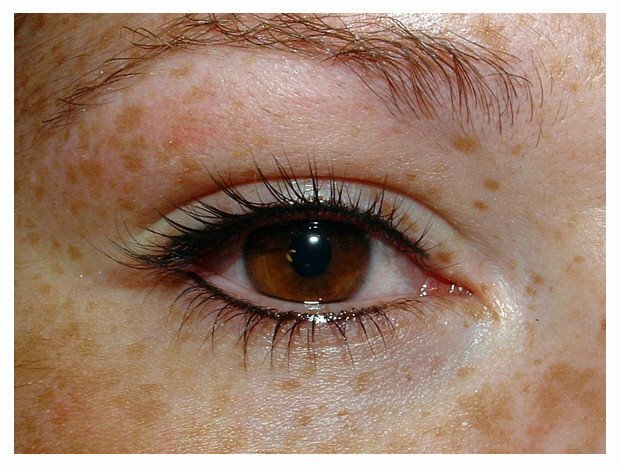 The cosmetic implantation technique deposits colored pigment into the upper reticular layer of the dermis. 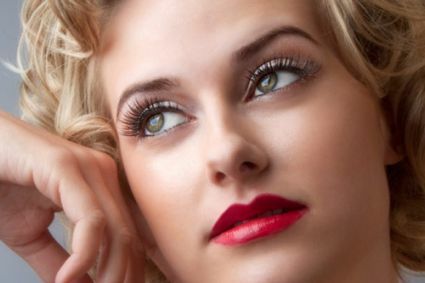 Permanent makeup by a professional artist can work wonders in how you look. It can bring out the very best of your natural beauty but it can also change flaws into virtues, create more symmetry and perfection into your facial features, and simply give you a more youthful look. Permanent makeup is very punctual and professional job. The hardest part of the job in the permanent makeup procedure is the right filling technique: correct depth, perfect linings, and color fitting to the skin. That`s why you should choose your permanent makeup artist very carefully. Check your tattoo artist's credentials carefully. Choose the best artist. Ask to speak with former clients. Ask to see before-and-after photographs. Permanent makeup will 1-3 years, depends on your skin and pigmentation color. Permanent makeup is usually used on the face which is not only washed more often than the pubic area (assuming you wash your face twice a day), it is exfoliated more and exposed to more different types of products. It is also more exposed to the elements of sun and pollution. For this reason, permanent make up tends to fade quite a bit over the years. 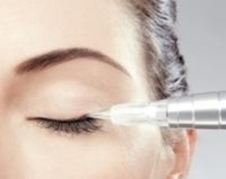 Contraindications for having Permanent Makeup procedures : Candidates who are seeking PM and who may be contraindicated include people with diabetes, pregnant and lactating women, people with glaucoma, people who are taking blood-thinning medicines (e.g. aspirin), Cortisone, Steroids, Aquitaine, Retin-A, Renova. You must have written permission from your physician if you are taking Coumadin or Heparin. People with skin diseases such as psoriasis, eczema, undiagnosed rashes and blisters, those with allergies to makeup or colors, and those with easy post inflammatory hyperpigmentation are not good candidates. Also contraindicated are individuals who are attempting to cover or camouflage Telangiectasia or birthmarks. 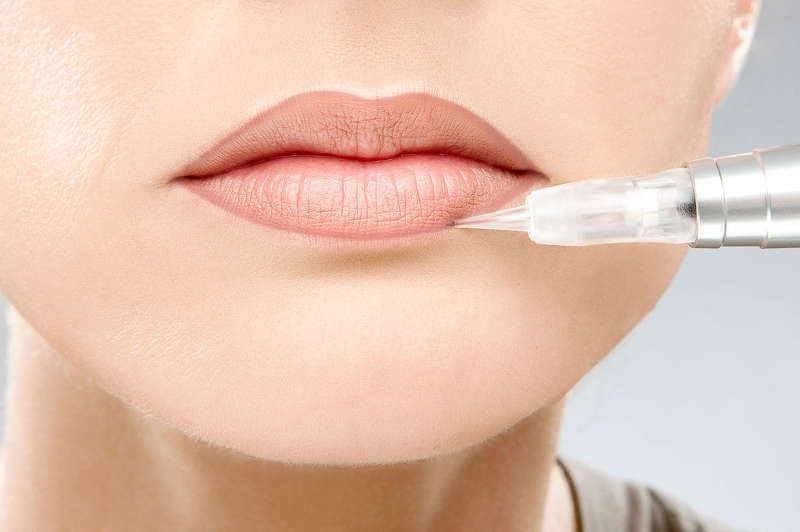 Additionally, herpes simplex can be considered a contraindication, however, with the advent of medications to control the viral breakout, herpes is no longer considered a contraindication. Permanent makeup is a two or more step process. The results cannot be determined until after the touch-up applications. After procedure 4-8 weeks, it is advised to do correction procedure. Most of the clients think that final result can be done after first procedure but it only happens in 98% of the procedures. After approximately 4 – 8 weeks, your skin will have mostly healed during the “shedding” or “scabbing” process. As a result, the initial intensity and thickness will fade, and the desired color shade will start appearing. That`s why you need correction procedure. Also, it is very important to follow the instructions that master will give you after the procedure. From The Internet you can find lots of different material about permanent makeup. Don`t look the ads, read the info about the procedure and masters, then you know what to expect. Permanent makeup needs usually at least 2 procedures. Do not be alarmed by fading after the first application. The final color cannot be judged until at least 4 weeks after the revisit applications are completed. This is the reason follow-ups are required. If you want to have high-quality permanent makeup, then usually you need to follow-ups for 1-3 years. As the procedure to permanent makeup becomes more and more popular all over the world, selecting the right permanent makeup specialist is the most important decision you can make. Badly made permanent makeup can leave you with scarves and a very bad look. Lots of masters don't invest in high-quality machines, if the machine looks like a "pen" don`t trust the master, with that it isn`t possible to do a high-quality job. Make sure the aesthetician uses sterile gloves and sterilized equipment. Master will show you a sketch how the permanent makeup will stay. The client must confirm it because it can stay there for client`s lifetime. To improve or fix the permanent makeup is not an easy process, so choose wisely your master and communicate with her/him. During the procedure, there may be some minor bleeding. Permanent makeup can change the look of your face for years and, therefore, finding the right master should be a careful consideration. Permanent makeup consultation is usually always free. Look for the master who is working in one salon and doesn`t run from one to another. Permanent makeup is very beautiful when master does it with a high-quality machine and communicates with the client. Don`t rush with your permanent makeup procedure, think it through.